Please feel free to call or email us with any questions you may have. 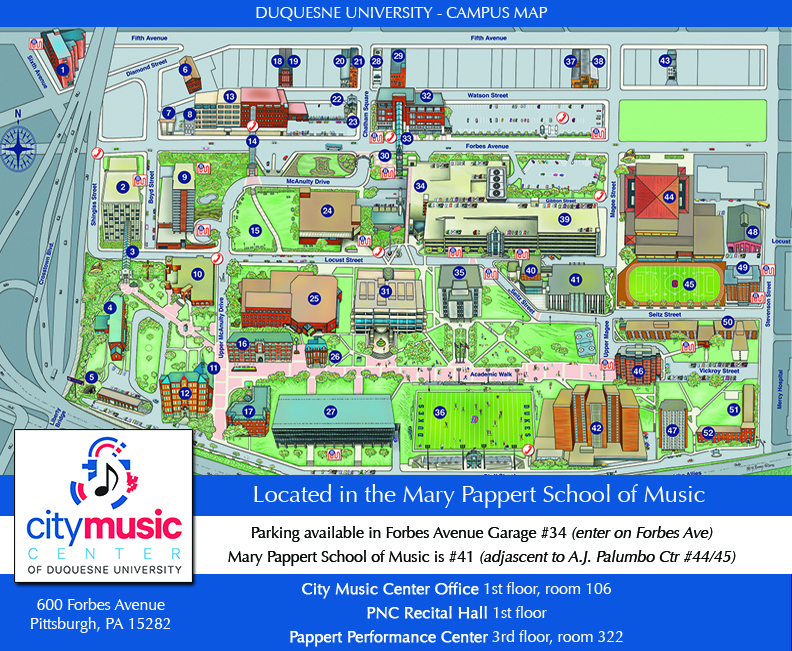 Don't hesitate to schedule a visit with City Music Center of Duquesne University (CMC). We invite you to come sit-in on classes, meet and talk with faculty, and experience the excellence that CMC has to offer. Where is City Music Center Located? You can pre-register for lessons and classes online!